As Amazon became the second US firm to hit a trillion-dollar value on the stock market, founder Jeff Bezos regained the crown as the richest person on the planet. Amazon's share price has climbed during the year, lifting the personal wealth of the company's 54-year-old founder with it. Forbes estimated his net worth about $166 billion. He has gone on record with a formula for success that includes taking bold bets, riding change and rebounding from setbacks. "You need to be nimble and robust so you need to be able to take a punch and you also need to be quick and innovative and do new things at a higher speed, that's the best defence against the future," Bezos said in an interview published in Vanity Fair magazine last year. "You have to always be leaning into the future. If you're leaning away from the future, the future is gonna win, every time." Jeffrey Preston Bezos's penchant for experimenting reportedly dates to a young age -- with one widely-recounted story telling that he tried to dismantle his own crib as a toddler. His mother was a teenager when she gave birth to Bezos in Albuquerque, New Mexico, on January 12, 1964. "You shaped us, you protected us, you let us fall, you picked us up, and you loved us, always and unconditionally," Bezos said in a Twitter message thanking his mom "for everything" on Mother's Day in May. She remarried when her son was about four years old, and he was legally adopted by his Cuban immigrant stepfather who worked as an engineer at a major petrochemical company. "My dad came here from Cuba all by himself without speaking English when he was 16 years old, and has been kicking a** ever since," Bezos said in a Father's Day tweet in June. "Thank you for all the love and heart, Dad!" His mother's family were settlers in Texas, where Bezos spent many a summer working at a ranch owned by a grandfather retired from a job as a regional director at the US Atomic Energy Commission. Bezos was enchanted by computer science when the IT industry was in its infancy and he studied engineering at Princeton University. After graduating, he put his skills to work on Wall Street, where by 1990 he had risen to be a senior vice president at investment firm D.E. Shaw. He surprised peers by leaving his high-paid position about four years later to open an online bookseller called Amazon.com, which according to legend was started in a garage in a Seattle suburb. Bezos was backed by money borrowed from his parents. Bezos went from being a boy with a love for how things work to being the man who built Amazon.com into an internet powerhouse. Amazon grew to dominate commerce and become a formidable contender in cloud computing, streaming television, and artificial intelligence with its digital assistant Alexa. Bezos has such a proven track record for shaking up the business sectors he enters that he has been dubbed "disruptor-in-chief." Like his company, Bezos has transformed with time, shaving his head and bulking up his body with exercise. The results were immortalized in a series of photos taken at a conference last year. A fan of science fiction and in particular the British author Iain Banks, Bezos has passions other than Amazon. 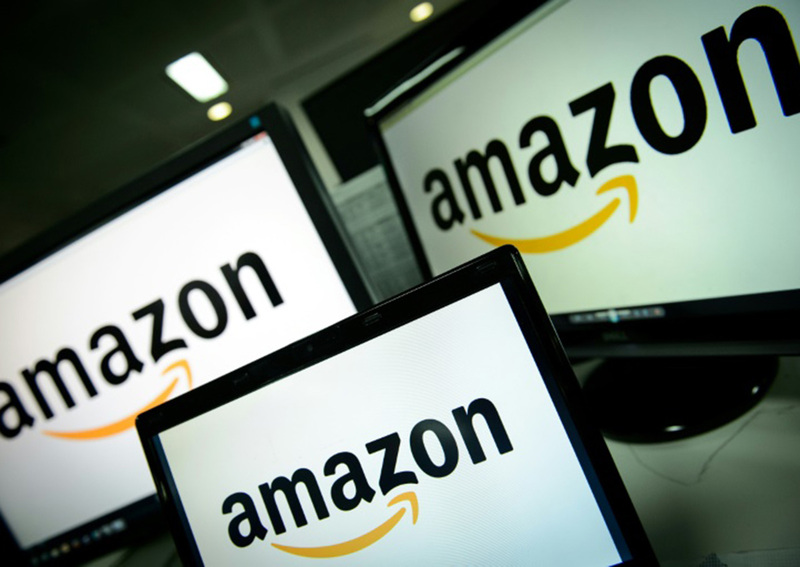 Bezos called Banks "a huge personal favourite" in a tweet early this year while announcing that Amazon Prime video service was working on a television series based on one of the author's novels. Bezos has invested some $42 million in the building a 150-meter-tall clock designed to keep time for 10,000 years. Built inside a mountain in Texas, the clock will be powered by geothermal energy. "Humans are now technologically advanced enough that we can create not only extraordinary wonders but also civilisation-scale problems," Bezos said in a blog post devoted to the clock project. "We're likely to need more long-term thinking." Bezos is also behind private space exploration operation Blue Origin, into which he usually invests money from selling Amazon shares. 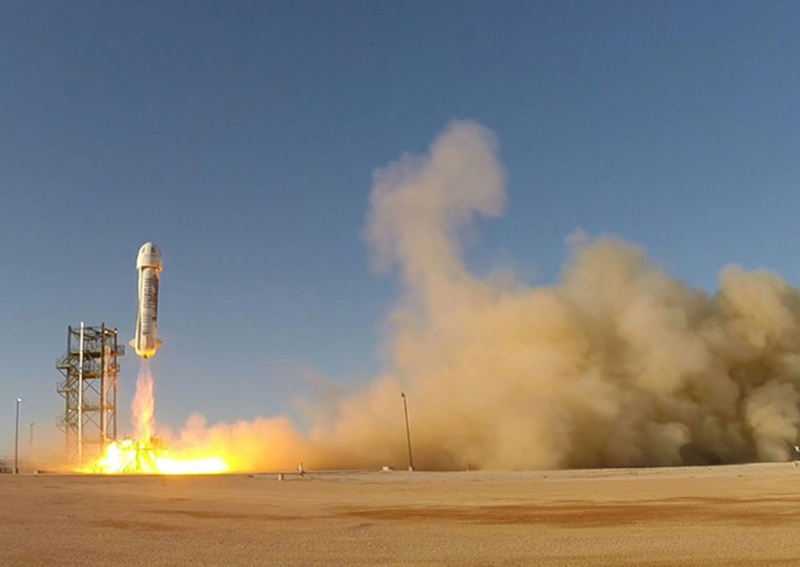 Blue Origin has outlined plans to build a spaceship and lunar lander capable of delivering cargo to the moon, perhaps to support colonies there. With the purchase of The Washington Post in 2013, the Internet entrepreneur added a prestigious news operation to his investments. The Post, and Bezos himself, have been targeted by US President Donald Trump. An open critic of Trump, Bezos has jokingly offered to send him into space. Bezos has been married to Mackenzie Bezos, a writer, since 1993. They have four children.